Check out these unique ideas when looking for a different kind of place to lay your head. We all know Chicago is a great vacation destination. Michigan Avenue. The Bean. Wrigley Field (which celebrates its one hundredth anniversary this year!) Gorgeous Lake Michigan. We have it all. And we have about 40,000 hotel rooms just downtown to lodge all the teeming visitors that venture to our windy shores. But what about when you don't want the same ol', same ol'? Check out these unique ideas when looking for a different kind of place to lay your head. Just a couple blocks from the Magnificent Mile and hundreds of the city's best eateries and nightlife in the River North neighborhood, the ACME is one of Chicago's newest boutique hotels. There's no denying its cool vibe. 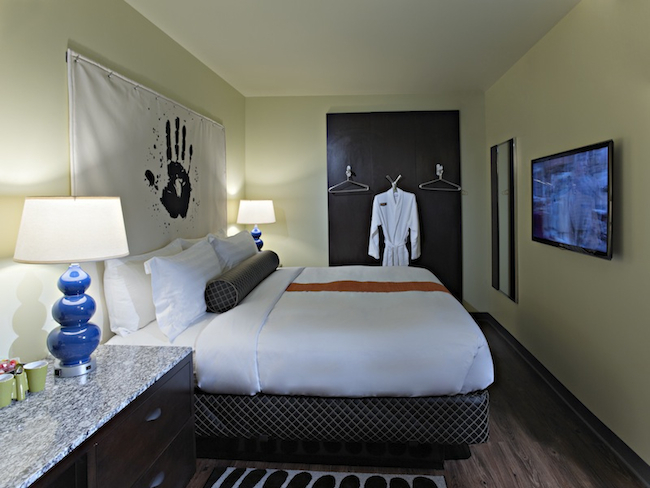 Hip, modern and cutting edge, rooms come with hardwood floors, Internet-ready flat screen smart TVs and computer compatible hook-ups. And get this: The Acme is the first hotel ever to offer Google Glass for free to its guests. The icing on the cake is the hotel's new cocktail lounge downstairs, the Berkshire Room. Come for the old-world throw back vibe and stay for the barrel aged cocktails. Rooms start at $129. Like the old-time inns with sleeping quarters above a tavern, Longman & Eagle has brought the idea back in a modern way to Chicago's Logan Square neighborhood. There are just six unique rooms all with their own art and décor making guests happy hispters. Two drinks downstairs at the bar are included. Rooms start at $85 a night. Nowadays staying somewhere unique like a cozy neighborhood apartment, an urban loft, or even a villa is easier than ever thanks to online sites like FlipKey and Airbnb. Some don't think of a B&B when staying in a large city, but Chicago has several on offer. What might be the most special of them all, Villa D' Citta is an Italian-style bed and breakfast in the heart of trendy Lincoln Park. Built in 1887, this greystone sleeps 20 and has an outdoor "grotto" and sun deck with a hot tub, a gourmet kitchen (stocked with snacks and drinks all day), and all the tech of Wi-Fi, a downstairs "theater" and flat screen TVs. The space is designed with Italian style in mind but still retains a modern, airy feel. Rooms start at $129 per night, or you can even rent out the entire mansion. 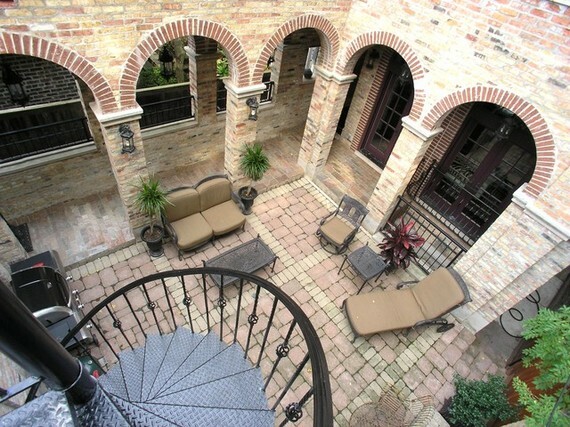 For another luxury B&B, try the Wheeler Mansion in Chicago's South Loop district. This mansion survived the Chicago Fire of 1871 and was the former home to some of Chicago's early mercantile and industrial barons. The 11 plush luxury rooms and suites are all exquisitely designed and recently underwent an entire renovation. There are some neat perks here: In winter, they literally have their own ice-skating rink in the backyard and hot chocolate of course; in the warmer months, you can rent their scooter and go on a picnic. Rooms include parking and breakfast and start at $365. Looking for something a little bit more economical? Americans are finally learning about the benefits of hostels. And they have come along way. 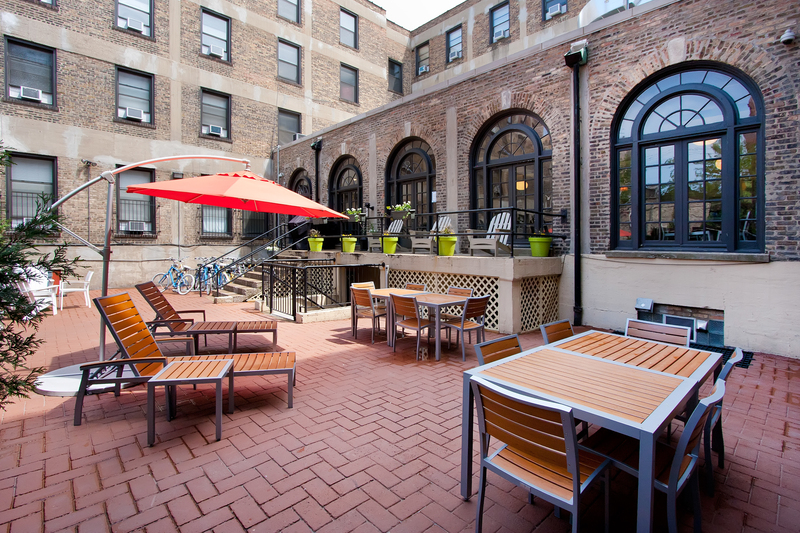 Chicago's biggest is the Hostelling International Chicago -- centrally located in downtown Chicago, it's big and modern and has quick and easy access to both airports. The 500-bed hostel has free amenities including Wi-Fi, breakfast, sheets and towels, maps, discounts to museums and attractions and even free, guided tours of the city. For those not into the dorm room thing, there are private rooms available. Rates start at $30. IHSP is a smaller hostel located in Chicago's trendy Wicker Park. They have everything you need including free daily breakfast, free Wi-Fi and computers, free airport shuttle (it's really the Blue Line Train, but they do reimburse you upon arrival), laundry on-site, and a 24-hour roof deck with grilling area. IHSP also has private rooms with shared bathrooms and group rooms with private kitchen and bathroom. Rates start at $15 for one dorm bed and $30 for a single bed private room. The spacious, modern, and newly renovated Getaway Hostel offers dorm rooms for four to 12 people (some with private bathrooms), as well as private rooms with shared, half, or full bathrooms. It also has a large gourmet kitchen and charming outdoor patio. Plus it's in young and vibrant Lincoln Park, a neighborhood full of bars and restaurants that are all within walking distance. Dorm rooms start around $30 and private rooms for $79.